Last month I took a trip to Amsterdam for a few days exploring the city (post coming soon!). Before I jet-setted off, however, I was invited to have a bit of a pre-flight pamper at Cloud Spa. As we're well and truly in holiday season, I thought I'd tell you a bit more about Cloud Spa and share my experience with you! Located in several airports across the country, Cloud Spas are the perfect place for the ultimate pre-flight pamper session. 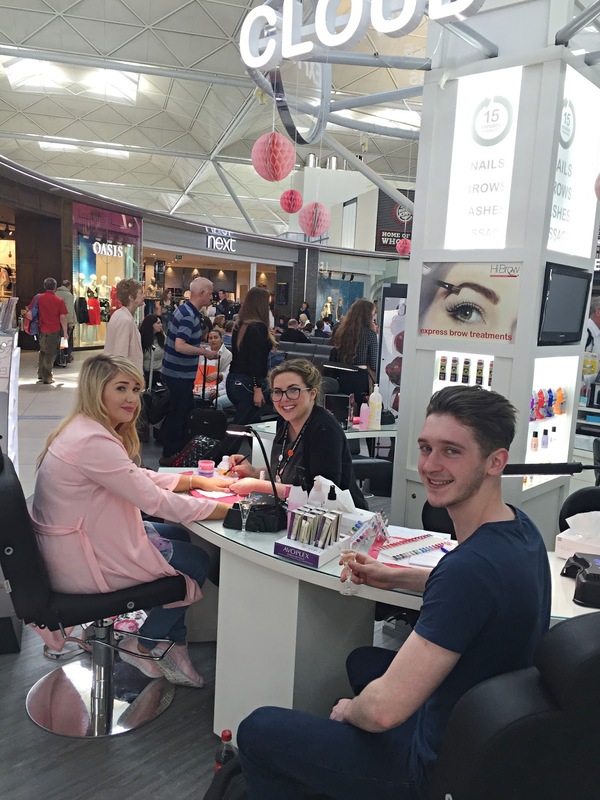 With a range of manicures, brow and lash treatments, waxing and massages, there's guaranteed to be something that tickles your fancy before boarding the plane. The best thing? Most of these treatments take between 15-30 minutes, so you'll have plenty of time to raid Duty Free before stepping heading off to sunnier climes. Although I was pre-booked for my treatments, the majority of people just turn up and get their treatment done there and then. 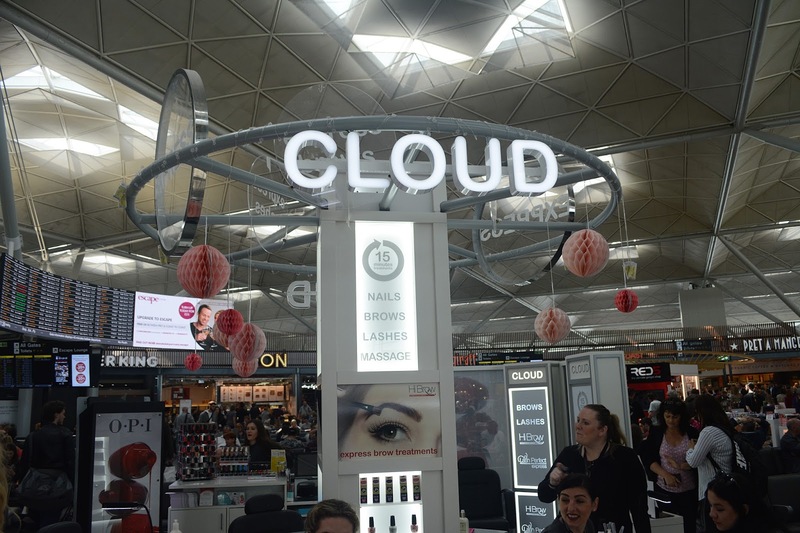 Sitting near the Duty Free shopping area, the Cloud Spa I visited (in Stansted Airport) was super easy to find thanks to the pretty paper decorations hanging from the sign, and me and my boyfriend Tom were greeted by a glass of Prosecco our lovely beauty therapists. I decided as I was getting pampered and preened it only made sense that Tom joined in the fun too, so he got to have a massage whilst I had my nails done. 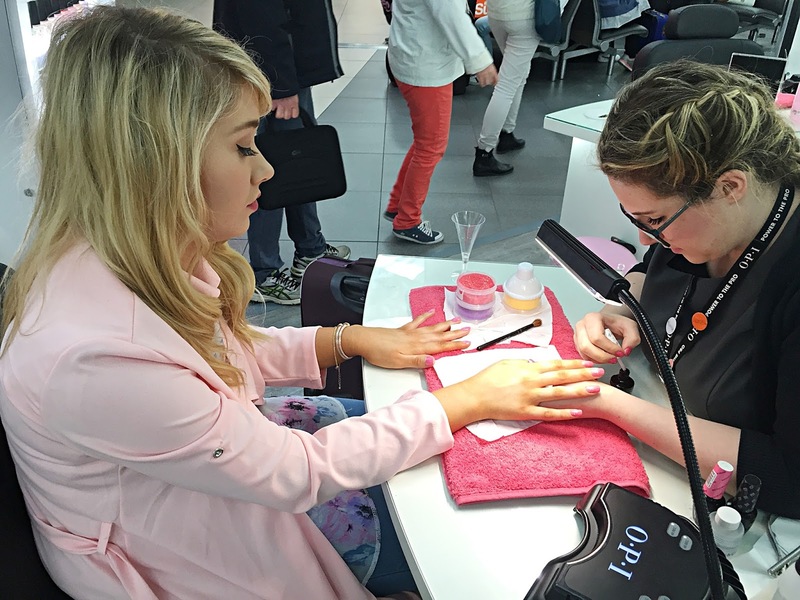 The 15-minute treatments were a total dream - I chose a bright pink for my nails with glitter on the top, and had lots of fun chatting to the girls on the counter whilst drinking my Prosecco and having a bit of me-time. It was totally easy to forget that we were in the middle of a busy airport, especially as the staff were so chatty and bubbly, really welcoming us and making us feel at home. Tom had never had a massage before and was a little bit apprehensive, but his therapist completely put him at ease. We had a fab time at Cloud Spa and it honestly kicked off our trip in the most perfect way. We'd had a stressful morning rushing around, so it was so lovely to be able to relax and be pampered, especially knowing that we were all checked in and ready to board the plane when we were called. 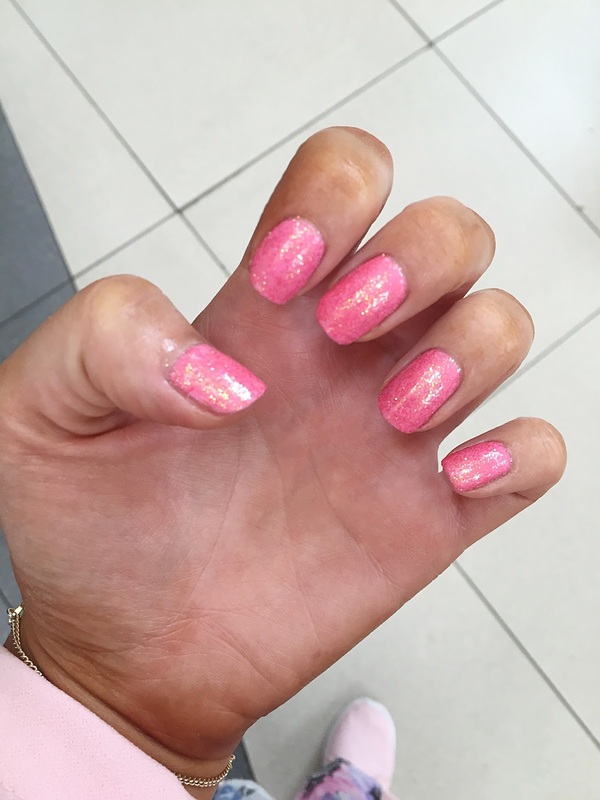 The treatments were quick but still to an amazing standard (take a look at my beaut nails in the pictures above!) and Tom couldn't believe how relaxed he felt after his massage. Overall I absolutely loved my experience at Cloud Spa and would completely recommend it for anyone looking to get those last-minute holiday treatments done before they head away. Do you think you'll be heading to Cloud Spa when you next go away? 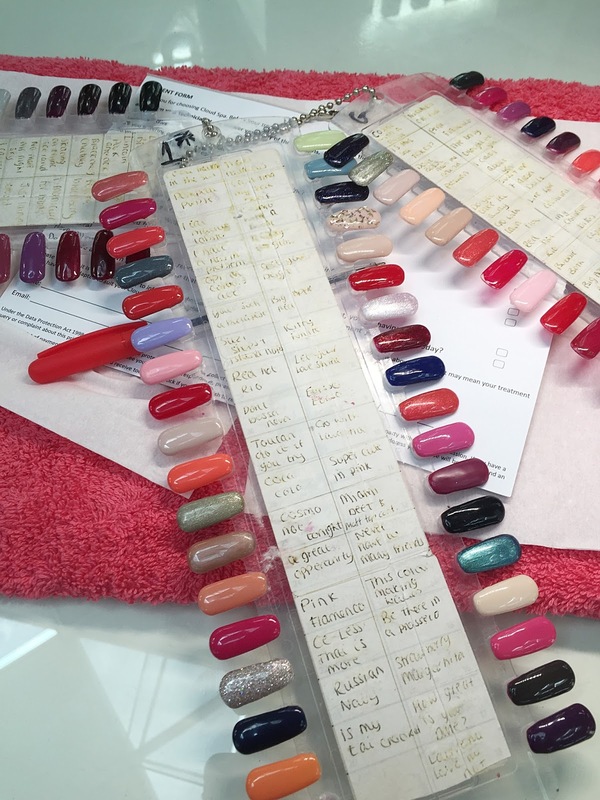 You can get £5 off if you quote 'BLOG16' to your beauty therapist - enjoy!